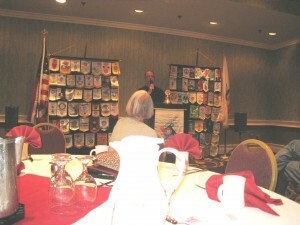 On Tuesday January 12, 2010, Michael and Jean-Marie were the guest speakers at the monthly breakfast meeting of the Rotary Club of Rohnert Park/Cotati and Petaluma. The breakfast started at 8 a.m. at the Doubletree Hotel in Rohnert Park, and Michael and Jean-Marie signed books afterwards. Michael thanks the Rotary Club members and introduces Jean-Marie. 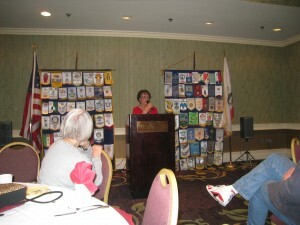 Jean-Marie speaks to the Rotarians. 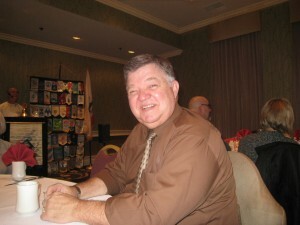 Rotary Club member Ron Henderson, who was instrumental in coordinating Michael and Jean-Marie as guest speakers for the breakfast.